Mad magazine proves you’re only as old as the jokes you read. Mad is one-of-a-kind. 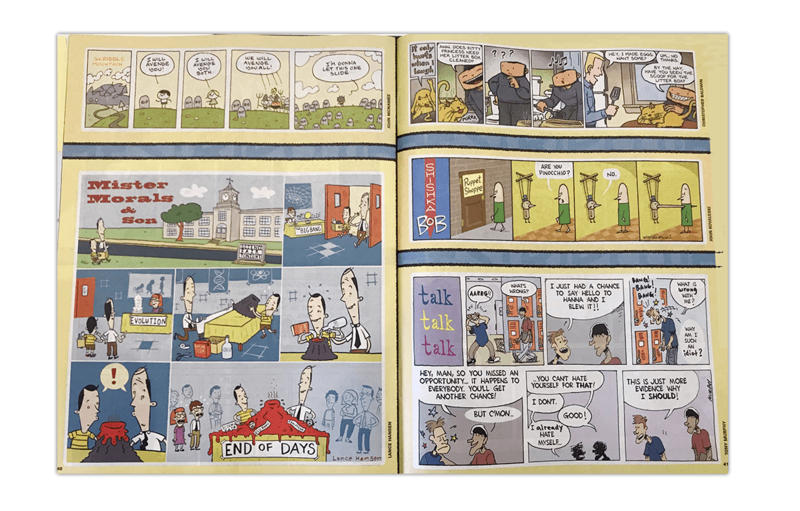 Is it a magazine or a comic, crass or clever? 65 years on, its irreverent take on absolutely everything hasn’t grown stale. The content is still politics and pop culture with a superhero flavour. You might recognise Mad magazine’s iconic cover boy, Alfred E Neumann. His gap-toothed, jug-eared mug promises toilet humour and cheap gags but don’t judge a mag by its cover. The humour is clever; sometimes pure oddball, sometimes dark, often ridiculous and occasionally off the mark. Mad’s send-ups catch everyone with their pants down. There’s something sentimentally old-school about Mad - the matte pages, crammed layout that casually snubs modern ideas about minimal space. You probably flicked through it as a kid. It’s all still there, the back page fold-in (always a first stop), Spy vs Spy, The Lighter Side. The Australian edition shares American content, as well as a few local angles, think The Real Horsewives of Melbourne and Grant Denyer’s Celebrity Cause-of-Death Betting Odds. 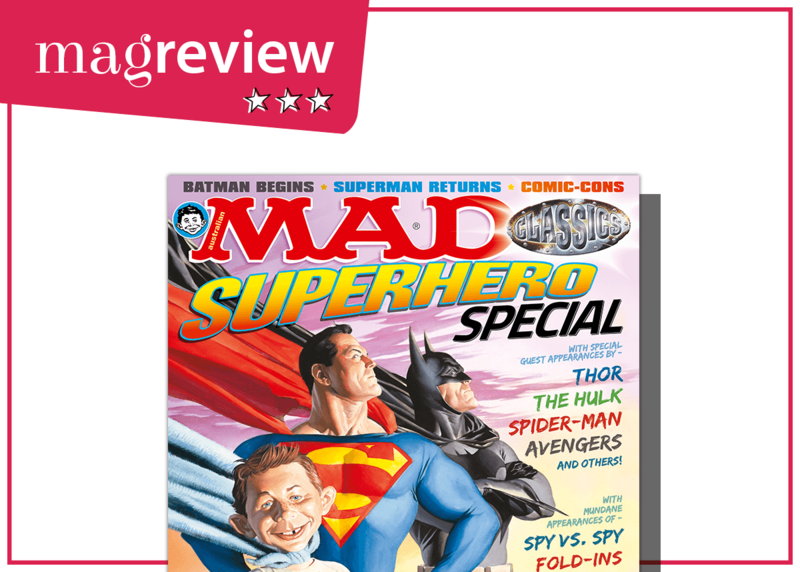 Mad definitely feels like it’s angling for the gadget-buying, computer playing, comic-reading male with a penchant for superheroes. But it would be a mistake to assume that this equals crass and banal. Age shall not weary it. Mad is still having the last laugh after all these years. Magfactor of 7 whoopee cushions for full comic book nostalgia. Guess who this 90's Barbie cover star grew up to be?